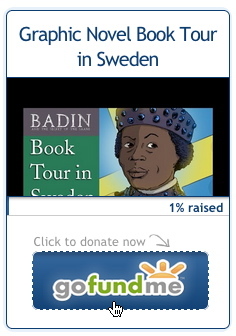 A year ago today I began preparation for a Kickstarter campaign to fund the translation of Gustaf Adolph Badin's diary. Thanks to generous friends and family, it was very successful and now the real Badin's diary is free for the entire English speaking world. 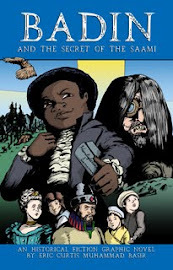 Also as of today, I can proudly announce that the first of four Acts for Badin and the Secret of the Saami is complete! Complete as in all ink, color and lettering (the hardest part), that is. There is still some more editing of text and artwork required. Some things I am not happy with and must leave along until I complete the entire graphic novel. Nonetheless, it is ready to start "shopping" around for a literary agent. Even if I do not snag an agent, I will not let that stop me from self-publishing. However, if I do, it might mean I can be more financially secure as I proceed over the next few months. All of the main characters—including villains—have been introduced. They live my mind and to see them finished on paper is truly inspiring. Speaking of inspiration, I have been sending the art to a select few around the world. One of them is a man named Donald Clayborn. He spent many, many years in Sweden and Denmark gathering information about Badin in the 1980's. Needless to say, he has been a crucial source for my research of Badin, Queen Mother Lovisa Ulrika and King Gustav III. Mr. Clayborn has told me that what he sees me doing makes him proud. That is something I do not take lightly because Mr. Clayborn is a serious no-nonsense man. I hope to write more about him in later posts. I do not like complacency. So I am not taking a break from my work (with the exception of writing this blog entry). Today, I created the page files for Act 2 and built the layout for Mini-Saga #2: Ahmed. Hopefully, you have purchased Mini-Saga #1: Vaarvaa. If not, please do so. You will not regret it! My plans are to release four Mini-Sagas leading up to the graphic novel. Some people are under the impression that the Mini-Sagas are samples of the graphic novel. They are exclusive PDF stories that will not be in the graphic novel. However, in another year or two I plan to create a special edition which will include them (along with all kinds of extras such as Art Director's notes to explain all the pages and the symbolism behind their composition). 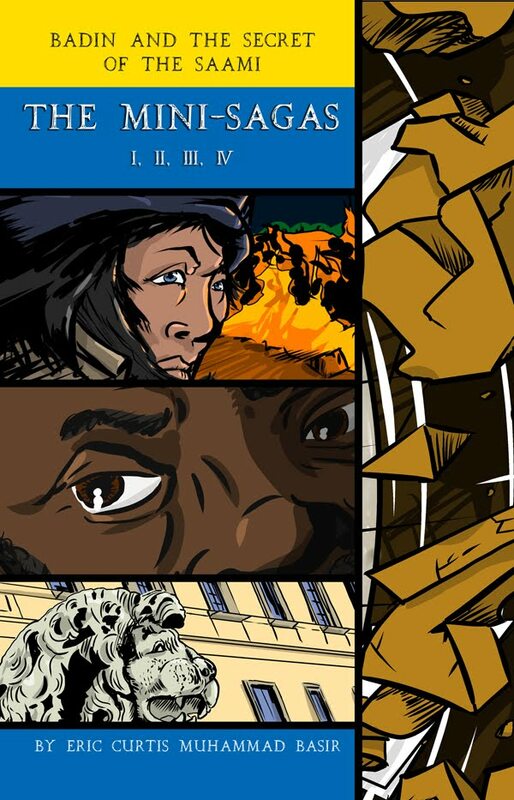 Before that I still will need to release the graphic novel in Swedish, Sámi and French. So don't wait. On the marketing front, I have established a Twitter hashtag #BadinSecret. I'm still new to this realm of advertising. So please feel free to offer any suggestions. I am experimenting with it for my children's books and it seems to be generating more buzz.